Russell 'The Voice' Watson is a star with a real story to tell. 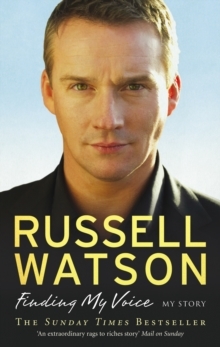 While most stars of today find success early, Russell was still working in a Salford factory at the age of 30. He spent the evenings singing in working men's clubs for extra cash to keep the bailiffs from his family's door. The chairman of Manchester United gave him his big break in May 1999: the opportunity to sing at Old Trafford. His extraordinary performance was quickly followed by a record deal and his phenomenal debut album. Despite his outward success, Russell struggled with his health and family life. His rapid rise to fame led to a bitter divorce from his childhood sweetheart and his private life being splashed across the tabloids. Then last year he was struck down by a life-threatening brain tumour. This plunged Russell into a deep depression and it was only the thought of leaving his two children fatherless that kept him going. Just when it seemed he was fully recovered he collapsed again while recording and had to have emergency surgery on a second brain tumour that threatened his voice, his sight and his life. 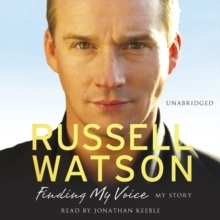 Now, in his own words, Russell tells us the amazing story of his life.